The year was 2011. There had been many times I had threatened my home PC with a Linux disk. Yet I remember the circumstances that led to its installation perfectly. New computer, and I could not find the Windows XP installation disk. I had heard great things about Linux but wondered what it was actually like to use. In practice. I have now been a (mostly) Ubuntu user for six years. I’ll be honest i’m not terrible with a PC, but I am by no means a “programmer” or “advanced” user. 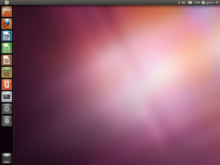 One advantage of Ubuntu is it kind of encourages you to explore that. So I got to know my “tech” side a lot more than I had. But that’s not to say there is not a nice easy desktop experience there for anybody to use. Sound contradictory? It sort of is. So with this new blog I hope to share my journey of Linux exploration with you. Why? Well because Why not. Along the way I will explain to you the issues I came in contact with and how I resolved them with the help of the open source community (aka google). Playing with Linux wet my techy appetite to such projects as the Raspberry Pi, to Puppy Linux on old machines. Maybe you are thinking of playing with this OS? Maybe you came here for advice? Either way I aim to make this column as interesting and non techy as I can. I like Linux but I am not going to lie to you. This is not a Linux Love letter more an account of my own experiences for better or for worse.